NOLLYWOOD: Are You Ready For Omotola Jalade Ekeinde's New Song? Nollywood actress, Omotola Jalade Ekeinde has hinted that she would be dropping new songs soon. 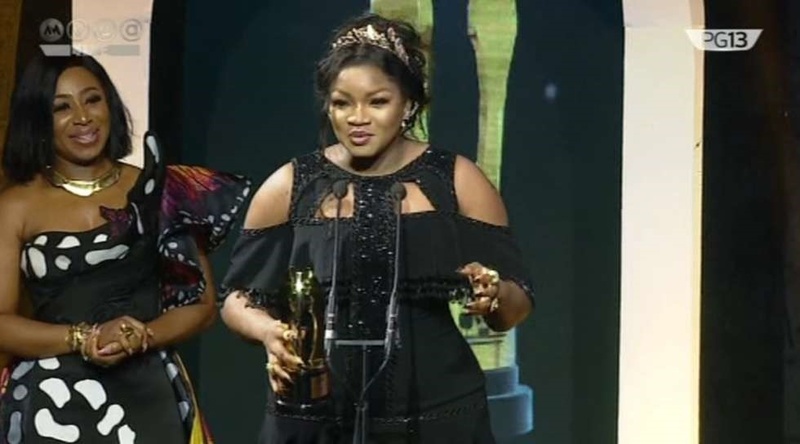 The AMVCA Best Actress 2018, Omotola Jalade Ekeinde says music is her first love and not acting. This would come as a shock to many of her fans who over the years have followed her meteoric rise as an actress. "I know a lot of people get shocked when I say that I love singing more than acting, but that is just the truth and I would have to speak my truth," the actress said in a recent interview. "You can call that my first love if you want. I know that people think I have not ‘blown’ (made it big) as a singer so they expect me to just say acting is my love, but I would shock the world soon." She said. In 2005, Omotola launched her music career with the release of her debut album titled GBA. That attempt was a colossal failure, then in 2012, she was set to feature American singer, Bobby Valentino, but that never saw the light of day. In 2016, Omotola got a lot of Nigerians upset online when she proclaimed that she sang better than a lot of the contestants on the singing reality TV show, The Voice Nigeria. Well Omotola is back. Are you ready for her next single? If Falz can ‘chop’ both ways, why can’t she?